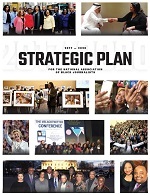 The National Association of Black Journalists is accepting proposals for workshops to be presented at its 2012 Annual Convention & Career Fair. Proposals are needed for 90-minute breakout sessions, half-day short courses, day-long learning labs and sponsored meal functions. Proposals must be submitted electronically using the form below. Based on next year’s convention theme – #NABJ12: New Platforms. New Directions. New Orleans --proposed sessions should fall under one of three tracks: Perfecting Your Craft, Tech & Tools and Innovation Station. Perfecting Your Craft sessions should stress mastery of reporting, writing, editing and other journalism cornerstones. Tech & Tools sessions should highlight new and emerging technology. And Innovation Station sessions should emphasize innovation and entrepreneurship in the dissemination of news and information. Presenters must have demonstrated expertise in their subject areas and come prepared to teach and challenge convention attendees. Sessions should equip attendees with skills and information that will increase their relevance in the newsroom and re-enforce the power of the written and spoken word and visual storytelling. 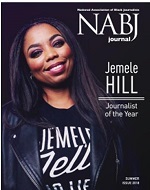 Each proposal will be reviewed by NABJ’s Program Committee. The deadline for submissions was 11:59 PM on Friday, November 4, 2011. The deadline has passed. The person listed on the form as the coordinator will be notified of the status of their proposal in Spring 2012. The convention will take place June 20-24, 2012 at the Hilton Riverside in New Orleans. To keep registration rates low for members, NABJ does not pay for travel, hotel or meals for convention speakers and presenters. In many cases, the institutions or organizations of the speakers support the mission of NABJ by covering those costs. For specific questions, please contact NABJ Manager Irving Washington at iwashington@nabj.orgor Convention Program Chair Benet J. Wilson at benet@aviationqueen.com.